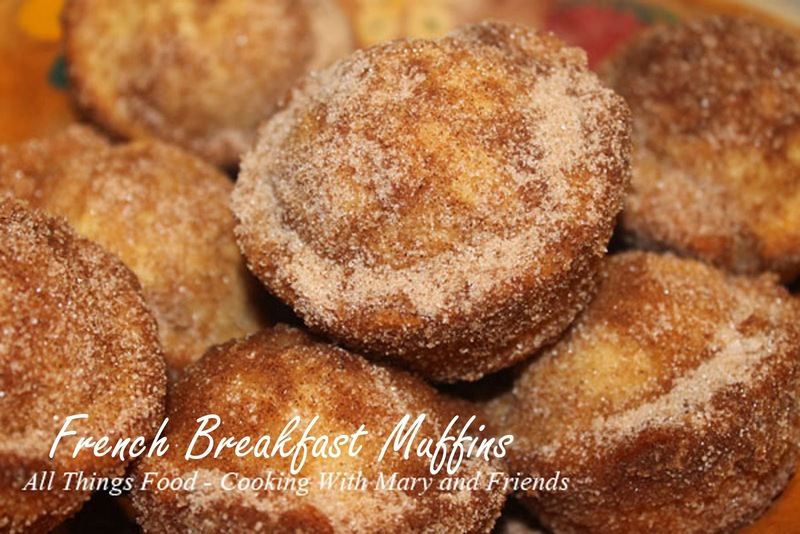 Rich but airy muffins dipped in melted butter and rolled in cinnamon sugar! Oh yes, they are so yummy! My family loves these and I hope yours will too! Preheat oven to 350 degrees. Put first 8 ingredients in a large bowl and mix by hand until combined. Batter is very thick. Spray 8 or 12 cup muffin tins with baking spray (I use Baker's Joy); fill muffin cups 2/3 full. Bake 20-25 minutes or until lightly browned. Melt 1/2 cup butter. In a small bowl, stir together 1/2 cup sugar and 1-2 tsp cinnamon. Swirl baked muffins in melted butter to completely coat, then roll muffins around in cinnamon sugar mixture, again to completely coat. Serve while warm. Muffins store well in an air-tight container for a few days, or wrap and freeze.